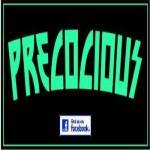 PRECOCIOUS is an ALL girl Classic Rock Cover Band made up of (4) girls ages 15-18 years old. We are Students at Monroe High School & Madison and have been performing together for about 4 years. 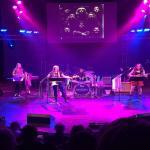 We play a diverse set of cover songs ranging from the 1960's to Current materials. We have over 65 songs in our current set lists that we perform on a regular basis. In addition to the cover songs, we have several songs that we have written ourselves. 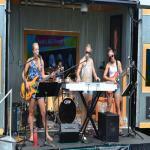 We have performed in a wide variety of places and venues in the Southern Wisconsin and Northern Illinois area. 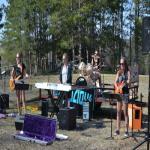 Our group covers a wide variety of genres of music from Country to Rock. Our main focus is on Classic Rock & Roll. We have performed in many locations in Southern Wisconsin/Northern Illinois area including Cannova's Restaurant Freeport, IL, Leisure Lanes, Old Smokey's, The Junction House, Flanigans Shenanigans and SLICE in Monroe, Hawks Mill Winery in Browntown, Spring Fling and Homecoming in Monticello, Wisconsin and The Last Chance Saloon in Juda, Wisconsin. We have performed in over 40+ gigs in 2016.